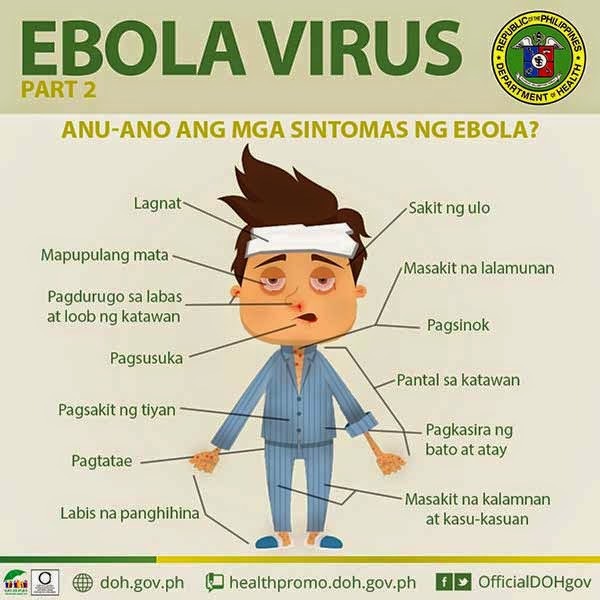 The Department of Health (DOH) is intensifying its drive to combat the deadly Ebola Virus Disease, a Palace official said on Sunday. In a radio interview with radio station dzRB Radyo ng Bayan, Presidential Communication Operations Office Secretary Herminio Coloma, Jr. said this was the directive President Benigno Aquino III gave to DOH. The DOH, he added, is set to undergo specialized training programs with the World Health Organization (WHO). This involves case detection and reporting, outbreak management and response, surveillance at points of entry, case management, inter-agency coordination, planning, and resource allocation. He noted that this is part of WHO's comprehensive strategies that integrated the following elements: infection prevention control, contact tracing, case management, surveillance, laboratory capacity, safe burial, public awareness and community engagement, and national legislation and regulation to support country readiness. Coloma reassures the public that the government is exerting all efforts to build up the country's defense against the deadle disease.